The Best Investment Podcasts from thousands of Investment Podcasts on the web using search and social metrics. Subscribe to these websites because they are actively working to educate, inspire, and empower their readers with frequent updates and high-quality information. CONGRATULATIONS to every podcast that has made this Top Investment Podcasts list! This is the most comprehensive list of best Investment Podcasts on the internet and I’m honoured to have you as part of this! I personally give you a high-five and want to thank you for your contribution to this world. Investment Podcast newsletter is a comprehensive summary of the day’s most important blog posts and news articles from the best websites on the web, and delivered to your email inbox each morning. To subscribe, simply provide us with your email address. Alexandria, VA About Blog The Motley Fool advocates for the individual investor around the globe. The show features a team of Motley Fool analysts discussing the week’s top business and investing stories, interviews, and an inside look at the stocks on our radar. The Motley Fool seeks to teach individual investors how to invest in a smart and strategic way.The investing advice focuses on buying great stocks of great companies that will build wealth over the long term. Frequency about 3 posts per month. Website fool.com/podcasts/motley-foo.. Facebook fans 654,636. Twitter followers 725,852. About Blog The Money Tree Investing Podcast brings you knowledge through interviews from people who are experts in their field. They come from a diverse background in the finance industry with the sole goal of providing you information about investing. Frequency about 1 post per week. Since Aug 2014 Website moneytreepodcast.com Facebook fans 391. Twitter followers 488. Scottsdale, Arizona, USA About Blog Beat conventional advice on personal finance, investing, and business with the author of Rich Dad Poor Dad, Robert Kiyosaki. Get ahead with his pull-no-punches style of challenging the advice we’ve all been given on money, investing, and the economy through this show. Frequency about 2 posts per month. Since Jul 2015 Website richdad.com/radio Facebook fans 4,032,738. Twitter followers 1,179,228. New York City About Blog Honest and uncensored, this show brings actionable advice to those who hate being lectured about money. Here one will get to know more on how to manage your money. Frequency about 2 posts per week. Website listenmoneymatters.com/show Facebook fans n/a. Twitter followers n/a. San Diego About Blog The College Investor helps millennials get out of student loan debt to start investing, building passive income, and wealth for the future. Today, it’s the go to resource for millennials looking for information about how to get out of student loan debt and start investing in their future. Follow this blog to get tips on Millennial Personal Finance and Investing. Frequency about 5 posts per week. Since Jun 2017 Website thecollegeinvestor.com Facebook fans 26,927. Twitter followers 13,255. About Blog A personal finance and investing podcast on money, how it works, how to invest it and how to live without worrying about it. J. David Stein is a former Chief Investment Strategist and money manager. For close to two decades, he has been teaching individuals and institutions how to invest and handle their finances in ways that are simple to understand. Through this podcast he gives tips and guides for personal finance and investing. Frequency about 2 posts per month. Since May 2014 Website moneyfortherestofus.com/epis.. Facebook fans 675. Twitter followers 1,787. Florida About Blog The Disciplined Investor podcasts give investment advice for investors of all levels, and they will help one to take control of your financial situation. Whether you are a novice or a seasoned investor looking to broaden your horizons and keep up with the ever-changing markets, this blog and podcast will give you tips leading you to smart and lucrative investments. Frequency about 1 post per week. Website thedisciplinedinvestor.com/b.. Facebook fans n/a. Twitter followers 11,935. Austin, TX About Blog Money Girl provides short and friendly business, personal finance, and investing tips to help you live a richer life. Whether you’re just starting out or are already a savvy investor, Money Girl’s advice will point you in the right direction. Frequency about 1 post per week. Website quickanddirtytips.com/money-.. Facebook fans 13,149. Twitter followers 6,074. About Blog A weekly financial podcast for professional finance, high net worth individuals, and other sophisticated investors. The podcast covers any and all investing opportunities, regardless of sector. One week they may cover the Australian housing bubble and the next week they’ll look at cryptocurrencies. Frequency about 1 post per week. Since Feb 2016 Website macrovoices.com Facebook fans 287. Twitter followers 12,564. About Blog Stratosphere Investing is a blog and educational platform for investing in value stocks, growth stocks, ETFs and dividend paying stocks. Braden explains the numbers and tools necessary to discover companies with great fundamentals. Frequency about 1 post per month. Since Aug 2017 Website stratosphereinvesting.com/po.. Facebook fans 50. Twitter followers n/a. New York, NY About Blog Exploring the ideas, methods, and stories of people that will help you better invest your time and money. Learn more and stay-up-to-date about investing by following us. Frequency about 1 post per week. Website investorfieldguide.com/podcast Facebook fans n/a. Twitter followers 55,431. Melbourne, VIC About Blog This Podcast is about helping people make smart property investment decisions. To make the right decisions you need to get educated and this is what this podcast is all about. Passionate people can learn about to stop making bad investments choices. Frequency about 1 post per week. Since Feb 2015 Website thepropertycouch.com.au/cate.. Facebook fans 8,184. Twitter followers 1,304. Global About Blog At Russell Investments, we stand with people, whether you’re they are institutional investor, a financial advisor, or an individual guided by an advisor’s advice. It is believed the best way to reach your desired outcomes is with a multi-asset approach that combines: asset allocation, capital markets insights, factor exposures, manager research, portfolio implementation. Frequency about 1 post per week. Website russellinvestments.com/us/in.. Facebook fans n/a. Twitter followers 16,079. About Blog A podcast all about transparency and becoming a mastermind of the investment game. Here each week one can find exclusive interviews with the world’s best niche investors and dissect their strategies to share ways to put your hard earned cash to work. Frequency about 3 posts per month. Since May 2016 Website investlikeaboss.com/all-epis.. Facebook fans 467. Twitter followers 202. UK About Blog Inside Property Investing is a property podcast sharing successful property investor interviews, market updates and news to help you succeed in UK property. It will strive to be your single resource for news, advice and inspiration to help you succeed on the property journey. Frequency about 3 posts per month. Website insidepropertyinvesting.com Facebook fans 4,846. Twitter followers 1,088. Worldwide About Blog Opinions on business, economics and much more from the editors and columnists can be seen over here. For more on these, subscribe with us. Frequency about 1 post per week. Since Dec 2017 Website bloomberg.com/podcasts/maste.. Facebook fans n/a. Twitter followers n/a. About Blog It is a twice a week show that focuses on money and economic topics shared in an incredibly insightful way. This podcast is highly produced, with high quality guests. Follow for more updates. Frequency about 2 posts per week. Website npr.org/podcasts/510289/plan.. Facebook fans 6,347,234. Twitter followers 7,611,654. Worldwide About Blog Bigger Pockets is to help educate people about all aspects of real estate and real estate investing and to provide tools and resources to enhance real estate knowledge, networking, marketing and dealmaking. BiggerPockets is the largest online community and complete resource for anyone looking to succeed in real estate investing. Frequency about 2 posts per week. Since Jan 2013 Website biggerpockets.com/podcast Facebook fans 106,306. Twitter followers 38,984. United States About Blog The GuruFocus podcast brings interviews with influential investing leaders, extended discussion with website contributors, original stories and all the happenings in value investing. Tune in to stay fresh on the world of money and give your portfolio an edge, on the go. Frequency about 1 post per month. Since Sep 2016 Website gurufocus.com/podcast.php Facebook fans 1,172. Twitter followers 6,380. About Blog The Sure Investing Podcast interviews successful investors and investment professionals to deliver actionable ideas and strategies straight to our listeners’ ears. With a different guest on each episode, the podcast discusses everything from dividend investing to cryptocurrencies to ETFs to financial statement analysis. Frequency about 2 posts per month. Website suredividend.com/podcast Facebook fans n/a. Twitter followers n/a. San Diego, California About Blog Learn how to build an online business using smart passive income. Find Pat’s podcasts, tutorials, videos, and other how-to articles on growing your business. Frequency about 2 posts per month. Since Nov 2012 Website smartpassiveincome.com/podcasts Facebook fans 156,522. Twitter followers 153,784. Greenwich, CT About Blog They offer with some of the best minds in finance to break down important ideas in investing, challenge conventional thinking, and have a bit of fun. The Curious Investor brings you the ideas that matter, the intuition behind the results, and the understanding to apply them. Frequency about 1 post per week. Website aqr.com/Insights/Podcasts Facebook fans n/a. Twitter followers 38,742. Canada About Blog The Maple Money Show is a personal finance podcast helping Canadians learn how to make money, save money, invest money, and spend money in a way that helps you create lasting financial freedom. Learn tips and strategies for more effectively managing your money and reach your goals, so you can live the life you want. Frequency about 1 post per week. Since Jul 2018 Website maplemoney.com/show Facebook fans 2,707. Twitter followers 54,877. About Blog Tune in to The Ric Edelman Show every week for financial advice that is both fun & useful. Listen to Ric’s compelling radio show for helpful tips on managing your finances. Frequency about 3 posts per month. Website edelmanfinancial.com/radio Facebook fans 1,118. Twitter followers 124. About Blog Michael Kitces helps one to plan their finances. To gain more knowledge on advanced financial planning, follow us. Frequency about 5 posts per week. Since Jan 2017 Website kitces.com/blog/category/21-.. Facebook fans 8,809. Twitter followers 48,831. Melbourne, Australia About Blog Michael Yardney shares secrets in his podcasts on how do build wealth through smart investment. Follow us for more on real estate investing advice and strategies from experts. Frequency about 1 post per week. Since Jun 2017 Website propertyupdate.com.au/catego.. Facebook fans 11,128. Twitter followers 55,694. Nashville, TN About Blog Get motivated and stay on track with your goals by listening to The Dave Ramsey Show, the fourth most downloaded podcast of 2017. In each show, Dave answers questions from listeners on subjects like debt, investing, retirement, insurance, and marriage. Frequency about 6 posts per week. Since Dec 2015 Website daveramsey.ramsey.libsynpro.com Facebook fans 4,041,109. Twitter followers 868,257. About Blog Welcome to ChooseFI. We explore the life optimization strategies that are possible when you decide to get off the hamster wheel and take the Road Less Travelled. Frequency about 1 post per week. Since Dec 2016 Website choosefi.com/category/podcas.. Facebook fans 6,255. Twitter followers 4,195. About Blog Afford Anything Podcast builds financial independence, make one learn how to create wealth and master how to make money. To know more on this, follow us. Frequency about 2 posts per month. Since Jan 2016 Website podcast.affordanything.com Facebook fans 13,751. Twitter followers 14,600. About Blog Value Investing podcast covers knowledge and discipline that you need to bring financial success to your life. In terms of knowledge, this podcast will deliver wisdom from legendary investors such as Warren Buffett and Peter Lynch and in terms of discipline, this podcast will train you to be a wise and long term investor. Frequency about 4 posts per month. Since Mar 2018 Website valueinvesting.blubrry.net Facebook fans n/a. Twitter followers n/a. About Blog The Smart Property Investment Podcast Network brings together the best of Australian property investment talent within one dedicated platform delivering investors unparalleled insights to help you create greater wealth through property. It will help bring together the best of Australian property investment talent within one dedicated platform delivering investors unparalleled insights to help you create greater wealth through property. Frequency about 2 posts per week. Website smartpropertyinvestment.com… Facebook fans 7,848. Twitter followers 5,225. Los Angeles, CA About Blog The Capital Ideas podcast brings you the best thinking from Capital Group, one of the world’s leading investment firms. Prepare to be engaged, enlightened and entertained as host Matt Miller gets to the crux of today’s most compelling investment stories. Frequency about 2 posts per month. Since Mar 2017 Website thecapitalideas.com/category.. Facebook fans 170,097. Twitter followers 148,912. Asia/USA About Blog Michael Covel speaks on investments, economics and entrepreneurship. To be updated with these subscribe with us. Frequency about 4 posts per month. Website trendfollowing.com/podcast Facebook fans n/a. Twitter followers 21,588. About Blog An interactive conversation about all aspects of financial planning from the basic, foundational knowledge to the advanced and highly technical. The 100% free podcast that will help you understand a wide range of financial topics including insurance, budgeting, investing, entrepreneurship and more. Frequency about 1 post per week. Website radicalpersonalfinance.com Facebook fans 3,587. Twitter followers 2,619. San Francisco About Blog The most comprehensive and best source for news on impact investing from broad issues to specific impact investments. Frequency about 2 posts per month. Website impactalpha.com/category/fea.. Facebook fans 1,767. Twitter followers 9,014. About Blog Stacking Benjamins is a magazine-style podcast. While each episode is just over an hour long, rarely will a segment run longer than 10 -15 minutes. To know more on personal finance, follow us. Frequency about 3 posts per week. Since Jun 2013 Website stackingbenjamins.com/catego.. Facebook fans n/a. Twitter followers n/a. About Blog Clayton Morris helps you build long-term legacy wealth for your families. We are committed to helping you build a portfolio of cash flowing real estate properties through our totally done for you turnkey process. Frequency about 2 posts per week. Website morrisinvest.com/podcast Facebook fans 18,298. Twitter followers n/a. Sydney, New South Wales About Blog This podcast talks about investing and cover a broad range of topics, from the ASX to taxation to the nuts and bolts of building your own portfolio. They are to help break down the challenging world of investing and make it easy to understand. It’s like chatting about the finance world with very knowledgeable friends. Frequency about 1 post per week. Since Jan 2017 Website equitymates.com/podcast Facebook fans 1,763. Twitter followers 322. Raleigh, NC About Blog Investing for Beginners is a podcast for beginners how to start investing in the stock market. One can get specialized in identifying value traps and avoiding stock market bankruptcies. Frequency about 4 posts per month. Since Mar 2017 Website einvestingforbeginners.com/c.. Facebook fans 2,749. Twitter followers 1,347. Franklin/Nashville, TN About Blog Brian Preston and Bo Hanson, fee-only financial planners and wealth managers and also they help one make smart financial decisions. The show covers both in-depth investing topics and lighter personal finance and money management issues. Frequency about 2 posts per month. Website moneyguy.com Facebook fans 1,926. Twitter followers 2,483. Los Angeles About Blog Epic Real Estate Investing shows people how to invest in real estate and achieve financial freedom so they can retire in the next three to five years. Frequency about 3 posts per week. Website epicrealestate.com Facebook fans 17,882. Twitter followers 5,742. About Blog Hermes Investment Management is an active asset manager working to deliver excellent long-term performance responsibly.They provide active investment strategies and stewardship. Here one can get information on invest better, retire better and create a better society for all. Frequency about 2 posts per month. Since Aug 2017 Website hermes-investment.com/uki/bl.. Facebook fans n/a. Twitter followers 10,730. St Louis, MO About Blog On the Real Estate Investing Mastery Podcast, Joe McCall & Alex Joungblood will share with you the real world secrets on how to make a full-time income through investing in real estate – with a special emphasis on fast cash strategies like Wholesaling and Lease Options. You will learn how to escape the 9-5 through hearing the stories of other successful investors. Frequency about 1 post per week. Since Jul 2014 Website realestateinvestingmastery.com Facebook fans n/a. Twitter followers 5,672. NYC About Blog The Journey To Launch podcast explores all aspects of reaching Financial Freedom; from increasing income, becoming tax efficient, paying off debt, investing, saving & learning how to retire early and wealthy. Frequency about 4 posts per month. Website journeytolaunch.com/podcastl.. Facebook fans 1,538. Twitter followers 2,367. Kitchener, Ontario About Blog A podcast just for you, Canadians. This podcast aims to teach you how to build your wealth and how to fix your credit using the expertise and influence of professional guests. Each episode is about an hour long, but it is packed with great ideas, tips, tricks and more from people who have actually succeeded with credit repair and in building their own substantial wealth. Frequency about 1 post per month. Website buildwealthcanada.ca/blog Facebook fans 392. Twitter followers 251. About Blog Real Estate Investing shares the systems to create the business and lifestyle you always dreamed about as a real estate investor. You will discover the systems and techniques to use in your real estate investing business. You will also hear from a diverse group of very successful real estate investors from across the country. The Science of Flipping podcast will help you become a millionaire real estate investor. Frequency about 2 posts per month. Since Aug 2013 Website thescienceofflipping.com/pod.. Facebook fans 5,013. Twitter followers n/a. Aiken, SC About Blog Sane Crypto is the first cryptocurrency show for Baby Boomers investing for retirement. Here one can learn how to create cryptoasset exposure in their retirement portfolio so that no harm is done if they are wrong but potentially life-changing money if we are right. Frequency about 1 post per week. Since Jan 2018 Website sanecrypto.com/podcast Facebook fans n/a. Twitter followers 63. Louisville, KY About Blog Sharon Vornholt, the “Real Estate Gal”, is an entrepreneur, a full time real estate investor, blogger, podcaster and a coach. These podcasts will not only bring you information packed interviews with successful real estate investors, but also tips, tools and a whole lot of “how to”information to help you start or grow a successful real estate investing business. Frequency about 3 posts per month. Website louisvillegalsrealestateblog.. Facebook fans n/a. Twitter followers n/a. New Zealand About Blog The NZ Everyday Investor is a podcast for learning about all things money. We select guests for our show who have a genuine story to tell, not just industry experts but people who have made great financial moves, some on purpose and some totally by accident. Frequency about 1 post per week. Since Jul 2018 Website podcasts.nz/nz-everyday-inve.. Facebook fans 1,104. Twitter followers 3,307. Ireland About Blog This podcast is to help you make and manage your money over the long term. Informed Decisions is about you, about helping you to take control of your money and make really decent long term financial decisions, for you. Frequency about 1 post per week. Since May 2016 Website informeddecisions.ie/categor.. Facebook fans n/a. Twitter followers n/a. Tarpon Springs, FL About Blog Learn to Earn passive income with the CashFlow Guys as we discuss what they have learned as real estate investors, entrepreneurs and former employees. We educate investors on the true freedoms of passive income and cashflow opportunities. Frequency about 3 posts per month. Website cashflowguys.com/podcast Facebook fans 1,362. Twitter followers 6,599. Colorado About Blog ICOR’s sole purpose is to promote, protect and educate Real Estate Investors and Rental Property Investors. Investment Community of the Rockies serves to bring education and information to investors and landlords across the Colorado Front Range. ICOR is the Colorado chapter of the National Real Estate Investors Association. Frequency about 3 posts per month. Since Nov 2015 Website icorockies.com/real-estate-i.. Facebook fans 1,639. Twitter followers 1,159. About Blog The Wise Investor Show has helped listeners become better investors by providing an understanding of the way the markets move and analyzing stocks and bonds. With a deep commitment to value investing, The Wise Investor Group provides the tools listeners need to become better investors, including an understanding of the way the markets move and the ability to analyze stocks and bonds. Frequency about 1 post per week. Since Dec 2012 Website thewiseinvestorgroup.com/.. Facebook fans n/a. Twitter followers n/a. About Blog Charles Roberts and Chris Lopez are investor-friendly Realtors who specialize in helping investors build wealth by buying Denver rental properties. Listen to interviews with investors and real estate professionals. Enjoy discussions on Denver real estate trends, local news, and stories from our own investments and those of our clients. Frequency about 3 posts per month. Since Jul 2017 Website denverinvestmentrealestate.c.. Facebook fans n/a. Twitter followers n/a. About Blog Reed Goossens is a serial entrepreneur, real estate advisor, property investor, author and public speaker. Follow us to get tips on multifamily investing and real estate investing. Frequency about 4 posts per month. Since Sep 2014 Website reedgoossens.com/podcast-inv.. Facebook fans n/a. Twitter followers n/a. Southern California About Blog Holly McKhann shares secrets to real estate investing podcast. Follow us for more interesting facts. Frequency about 2 posts per month. Website hardhatholly.com/podcast Facebook fans 1,215. Twitter followers n/a. Colorado, USA About Blog The IwtB Podcast is the investing podcast that delivers free corporate access and investment insights for the value investor. The invesing podcast for pros. Frequency about 2 posts per month. Since Apr 2018 Website investingwiththebuyside.com/.. Facebook fans 45. Twitter followers 264. Brisbane About Blog The Everyday Property Investing podcast is Australia’s top property and investing podcast and provides entertaining and informative shows for property. We are passionate about helping beginner property investors to increase their knowledge about property and get involved in investing. Frequency about 1 post per month. Since Aug 2010 Website everydaypropertyinvesting.co.. Facebook fans 1,323. Twitter followers 242. About Blog At Financial Engines we provide objective, fee-based financial advice and asset management, with an aim to help you build a better financial future, plain and simple. A national financial radio program covering primarily about retirement and investing. Frequency about 2 posts per month. Since Jul 2016 Website investingsense.com/recent-shows Facebook fans 14,150. Twitter followers 32. Florida About Blog Actionable real estate investing ideas each and every week. This is a podcast for every real estate investor looking for cash flow opportunities, the difference is, we offer a Florida twist. Frequency about 1 post per month. Since Nov 2014 Website investfloridashow.com Facebook fans n/a. Twitter followers 1,063. About Blog The Precious Metals Investing podcast features interviews with Precious Metals Experts who share their tips and techniques for profiting from precious metal investments. Frequency about 1 post per month. Website preciousmetalsinvesting.com/.. Facebook fans n/a. Twitter followers n/a. Winchester, VA About Blog “Let’s Talk Investing” provides a weekly market update and common sense investing insights from a value based perspective. Listen as host Randy Beeman and guests help make the complex simple in an easy to understand. Frequency about 2 posts per month. Website yhbwealth.com/blog-podcasts/.. Facebook fans 32. Twitter followers 25. Fargo, ND About Blog Follow Josh Koth and Jack Hoss on their journey towards financial freedom using the power of Real Estate through the REI Rookies Podcast (Real Estate Investing Rookies Podcast). We share our experiences as we acquire rental properties, build net worth, and work towards financial freedom. We are focused on creating wealth through conventional and creative real estate investing while improving our financial education. Frequency about 3 posts per month. Since Apr 2017 Website reirookies.com Facebook fans 333. Twitter followers 155. Southern California About Blog The Index Investing Show with host Ron DeLegge, teaches you the birds and bees of successful investing. Listen, learn, and profit. Follow us for more updates. Frequency about 4 posts per month. Website indexshow.com Facebook fans 754. Twitter followers 1,687. San Diego, CA About Blog Get quality financial guidance and real answers to your investment questions when you tune into “Smart Investing with Brent & Chase Wilsey” podcast. Frequency about 4 posts per month. Since Apr 2018 Website wilseyassetmanagement.com/po.. Facebook fans n/a. Twitter followers 309. About Blog Teen investor and entrepreneur Daniel Scrugham draws on years of personally beating the market to explore the amazing world of investing and teach young people the secrets of success. Learn to secure your financial future by saving and investing money in stocks and cryptocurrencies from a young age. Frequency about 4 posts per month. Website earlyinvestingpodcast.com Facebook fans n/a. Twitter followers n/a. 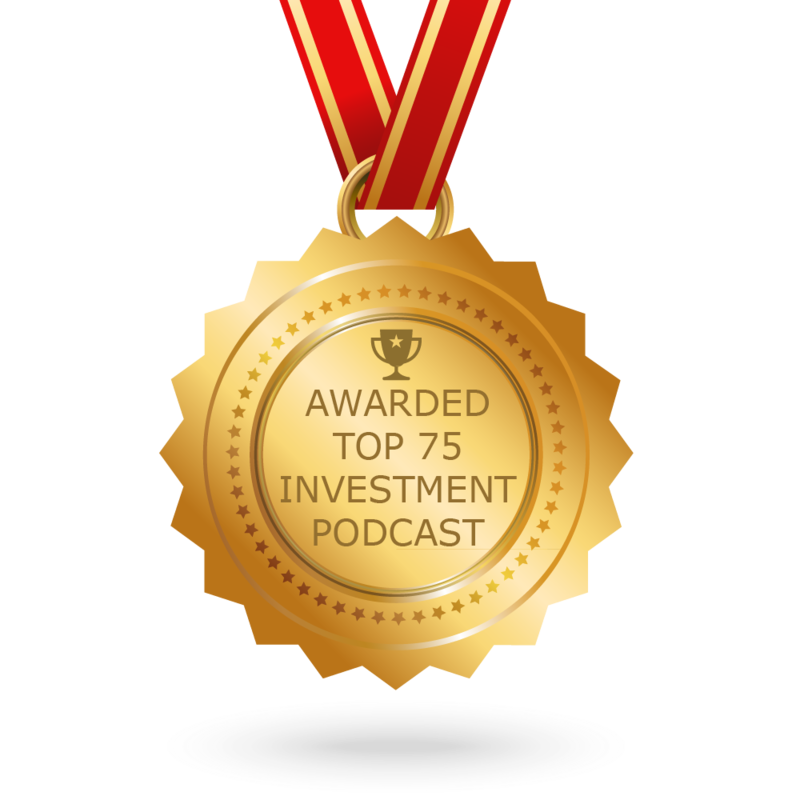 The post Top 75 Investment Podcasts You Must Subscribe and Listen to in 2018 appeared first on Feedspot Blog.